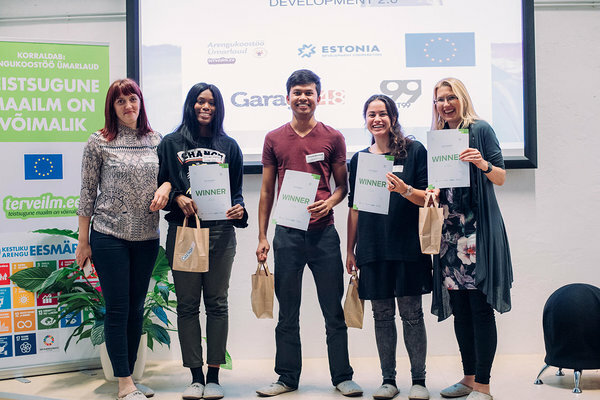 On Monday Garage48 was part of development cooperation digitalization - we organized an Idea Garage48: Path to Development 2.0 full-day event that encouraged everyone to propose solutions and test ideas with the help of mentors from various backgrounds. The aim was to understand the opportunities digitalization offers, to tackle the challenges it embeds and to bring a technological process to the global development. Idea Garage48: Path to Development 2.0 event was a warm-up session to Digitalising Development Conference 2017 held on 12th Sept in KUMU. The Digitalising Development Conference 2017 risk panel talks about both data protection and the digital divide. What is the use of technology for citizens in the dictatorial countries, for example? There is also no problem that when communication, job opportunities and information are being transferred to the Internet, the regions without electricity or mobile phones will simply be dropped off the train. Surveys show that the winner of technology will be most benefited by the rich man living in the middle of the city and the poorest poor woman living in the countryside. In Estonia, we are used to thinking that technology is positive or at least neutral. Speaking at the conference, the University of Amsterdam's PhD candidate, Alix Rübsaam, talks about why technology is not positive, negative or neutral. How will studying and working in the future, does artificial intelligence mean humankind, and what does this mean for both the Western and developing countries? 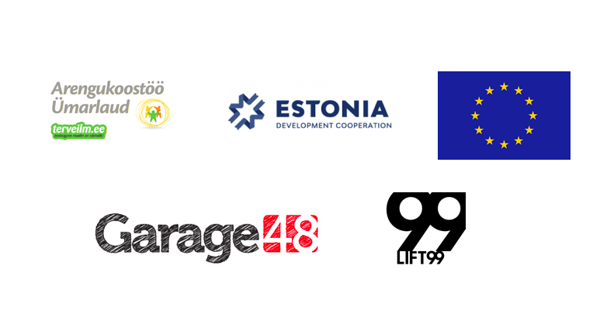 We would like to thank our mentors & experts for helping the teams to brainstorm ideas and propose potential solutions: Edna Soomre (SPIDER), Andres Susi (Tech entrepreneur & Garage48 mentor), Kadi Kenk (Lets Do It World), Kristiina Kerge (Lets Do It World), Eero Janson (Estonian Refugee Council), Riina Kuusik-Rajasaar (Mondo), Anto Liivat (Enterprise Estonia), Helen Kokk (Nortal), Karl Aru (Taxify), Ülane Vilumets (Like A Local Guide). Bring global issues to the local level. Idea is to create an educational behaviour changing app what will help to take actions: 1. What to do when you meet a stray animal, 2. How to solve their multiplication. Targets teens and adults, so that when they see a stray animal the take a picture and send it to a special place. The platform connecting delivery freelancers with delivery orders, a special tool for marketers. That has a delivery marketplace, is fast and affordable and has a lot of drivers. Daily basis. An app, where you can find a nanny with in 60 minutes when your kid is sick. Based on localisation, live feed. The system that is controlled and the nannies have been checked up and they will have ratings. The system is similar to the Taxify app. Payment would be by credit card, mobile bank etc. Power to the women. Special needs people need an app or a platform where they can integrate different platforms with each other. For example - find work, find activities etc. Target group: People with special needs and Businesses. Idea is to create a system/app, where all the volunteers can do their tasks wherever they are no matter what organization they volunteer at the same time. Idea is to have an additional income. Cook at home, go pick up on the way you go home. Needs to have a system how exactly this will work. Everything will be done by the mobile bank. Idea is to have a discussion about ethics on the internet. What’s okay and what’s not, how do react and help to create ethic rules? Idea is to create an educational behavior changing app what will help to take actions: 1. What to do when you meet a stray animal, 2. How to solve their multiplication. Idea is to create a centralized market for tasks if you have few hours free time you just go to the app and find a task. You need to do something and you don’t have time - use the app and somebody else can do it for you. Local based. Idea Garage48: Path to Development 2.0 event’s winner is: QTS team. They have a chance to change our world globally and locally. Congratulation and take a next step towards the future.